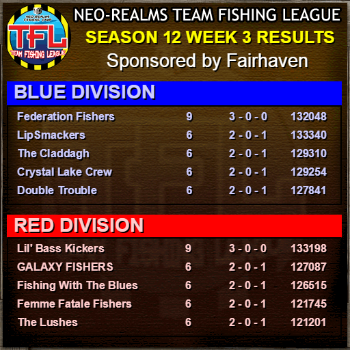 We are into the second week of TFL! 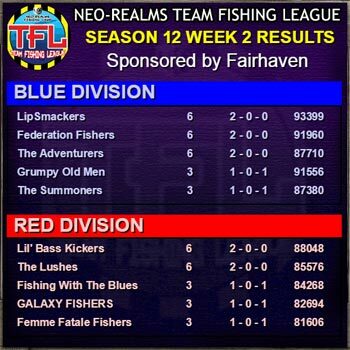 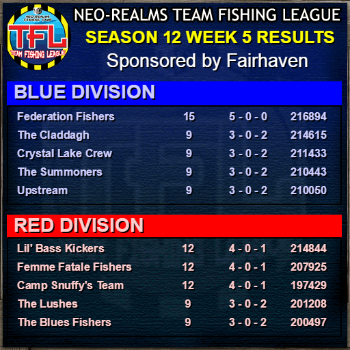 In Blue Division, LipSmackers, the Federation Fishers, and The Adventurers are all hanging on to their undefeated streak, while in Red Division Lil' Bass Kickers and The Lushes are the only ones with a perfect record. 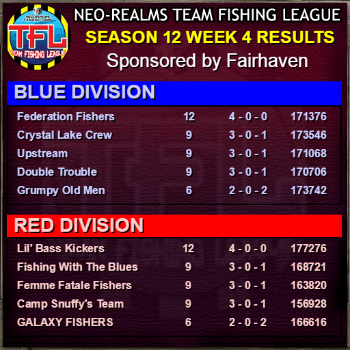 Good luck to all teams this week!